Something very different in a world of cars that look, feel and sound different. World Class Service!Lee and the service team at Maserati of Louisville are amazing at what they do. I have been buying cars for 25 years, owning any and every vehicle you can think of. My experience with this team will keep me as a long time customer with Maserati. This team is another level when it comes to customer service. Thank you Lee and team! Friendly and knowledgeable staff. Great facilities. Went in for a recall repair. Everyone was friendly and helpful. Only 4 stars because the time estimate was 15-30 minutes and it ended up taking a little over an hour. Our mission is to make every customer a customer for life by consistently providing exceptional service. 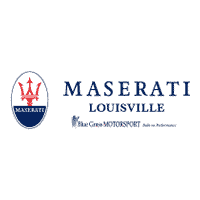 Personal advisors with expert knowledge are what you’ll find at our New and Used Maserati dealership in Louisville, KY. Feel free to browse our inventory online, request more information about vehicles, set up a test drive or inquire about financing! There is simply no other Maserati dealership that offers the quality of service available at Maserati Louisville. It’s our goal to secure the largest selection of exclusive Maserati vehicles in our inventory, with a passion for the limited edition and exclusive models Maserati has to offer. We have the largest inventory of rare and exclusive cars, including: Granturismo, Quattrporte, Ghibli, and now in stock – the new Maserati Levante. With a friendly and helpful sales staff, and highly skilled service mechanics with multiple automotive certifications, our Maserati dealership is your official Kentucky Maserati dealer. If you don’t see what you are looking for, give us a call at 502-378-3154 or stop by our dealership located at 4710 Bowling Blvd., Louisville, KY 40207. We look forward to serving you!